Couldn't get into Harvard or MIT? You're still welcome to Boston! 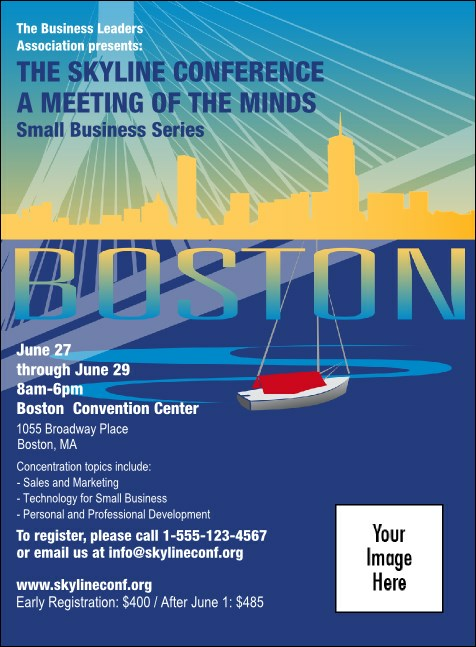 Traveling the Zakim Bridge, the Charles River, or the Big Dig, the Boston Invitation will draw your patrons to your next Boston event. With a matching event kit in bold, beautiful colors, this blue and gold invitation is customizable with your own logos. Invitation measures 5.63" X 4.14"
For the convenience of online service and the personality of local ticket printing, shop TicketPrinting.com!